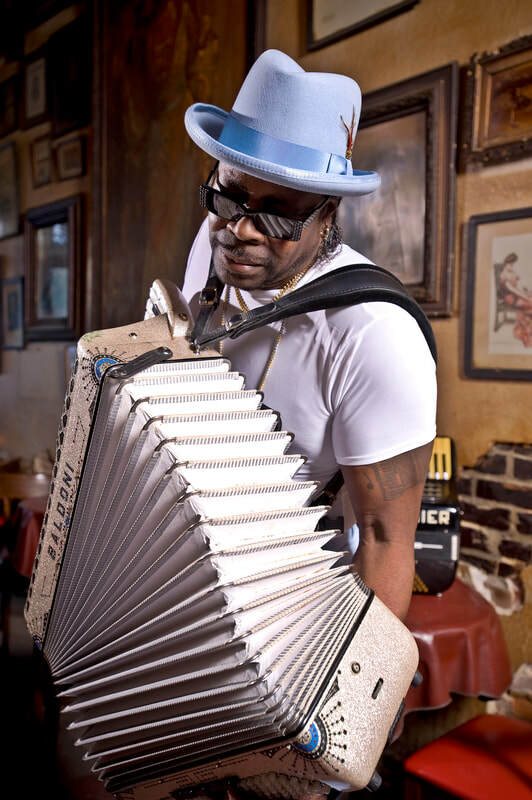 Clayton Joseph (C.J) Chenier was born September 28, 1957 - the son of the great King of Zydeco, Clifton Chenier. C.J. 's father was the first Creole musician to win a Grammy Award. C.J. spent his childhood in the tough tenement housing projects of Port Arthur, Texas. His earliest musical influences were an eclectic mix of funk, soul, jazz and Motown, and his first musical instruments were piano, tenor saxophone and flute. It wasn't until his 21st birthday, after winning a scholarship and studying music at Texas Southern University, that C.J. first performed with his famous father and the legendary Red Hot Louisiana band. On the road his father showed him how to front a world class touring band - teaching C.J. how to run the family business and how to develop his lifelong passion for music into a career. When Clifton died in 1987, his son said it only felt natural to carry on the legacy - and he stepped up to lead the Red Hot Louisiana Band. He recorded his debut album for the great American independent label, Arhoolie Records. As he told a journalist at the time, he does not try to imitate his father's playing: "I play it the way I play it. All my father really told me was to do the best I could do with my own style." In the following years C.J. would record albums Slash Records and the legendary Chicago label Alligator Records. Today, C.J. continues to record and rack up honors and awards. This year, he is being honored along with his late friend, Clifford Antone, in the acclaimed Museum of the Gulf Coast's Music Hall of Fame in the Golden Triangle; where he will join the likes of Janis Joplin, Tex Ritter, Percy Sledge, George Jones, Marcia Ball, Johnny Winter, The Big Bopper, ZZ Top and, of course, his father, Clifton Chenier. When C.J. Chenier talks about his style of Zydeco music, he explains that it is traditional Zydeco. "It's the kind of music that has grandmas dancing with grandkids, and mamas and daddys and kids of all ages coming out and having fun." C. J. went on to explain that his traditional zydeco is like his father, the great Clifton Chenier, played, could probably be described as Zydeco Blues. It's old school and and it's classic. And it's the kind of music that true music fans of all ages can enjoy. Zydeco has always been a regional music, but the sound is truly American. C.J. plays Blues Festivals all over the country, bringing that Louisiana cajun-creole music to music lovers from coast to coast. ​ Zydeco is a type of music that evolved from an acoustic folk idiom known as la-la, dating back to the 1920s and unique to black Creoles originally from rural southwestern Louisiana. The modern form emerged in Southeast Texas in the late 1940s and 1950s among immigrants from this ethnic group, who came to cities such as Houston and Beaumont to find employment. There they fused old Louisiana French music traditions with urban blues and R&B to create a distinctive sound. In zydeco the primary lead instrument is the accordion, and the fundamental cadences come from the polyrhythmic manipulation of hand-held metal utensils such as spoons scraped for percussive effect against the surface of a washboard (known in French as le frottoir). But since the 1950s, zydeco instrumentation has included standard drums, electric bass, electric guitar, and even piano, organ, saxophone, and trumpet. Zydeco singing—plaintive vocalizing in a blues style—typically combines English and French. The first two recordings to use variants of the term zydeco to refer to a style of music and dancing (as opposed to the original French sense referring to a vegetable) were produced in Houston. One was issued around 1947 on the song erroneously titled "Zolo Go" by bluesman Sam Lightnin' Hopkins on Gold Star Records, and the second appeared in the 1949 recording of "Bon Ton Roula" by rhythm-and-blues performer Clarence "Bon Ton" Garlow on Macy's Records. One black Creole who moved to Texas in 1947 and became part of the Frenchtown scene was Clifton Chenier (1925–1987), generally acknowledged today as the "King of Zydeco"—the musician most responsible for popularizing the music. 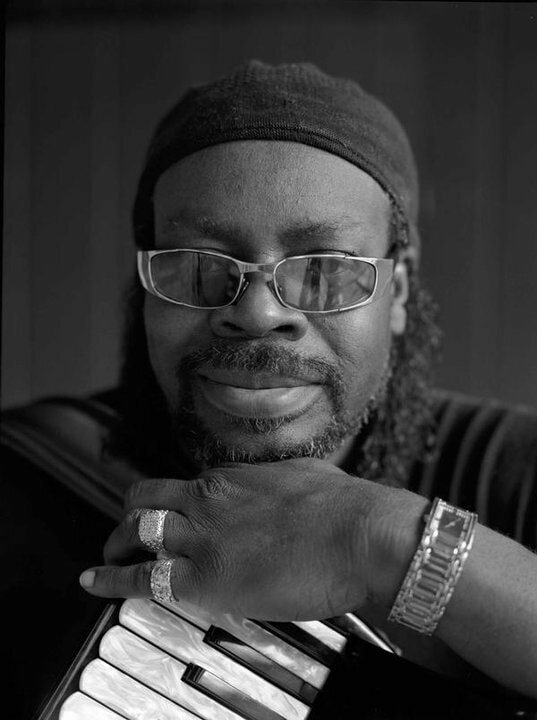 Among Chenier's innovations were the employment of the large piano-key chromatic accordion, which has a wider musical range than the traditional diatonic instrument, and the invention of the modern washboard vest, which expanded the musical possibilities for percussion beyond the limitations of the previously hand-held household utensil. In 1964 at the Gold Star Studio in Houston, Chenier recorded the classic song "Zydeco Sont Pas Salé," in which the producer abandoned the French phrase les haricots for the potent new word. In the cotton-and rice-growing prairie country of Southwest Louisiana in 1954, a black talent scout, John Fulbright, heard a remarkable Creole accordionist and singer who billed himself as "the King of the South," and his name was Clifton Chenier. Together, they went to a Lake Charles radio station where Clifton cut his first rocking accordion instrumental, "Louisiana Stomp," for the tiny Elko label. Although that first record went nowhere, it was soon leased to the bigger Imperial label, which in turn drew the attention of the even bigger Specialty firm. A year later, Clifton's Specialty release "Ay-Tete Fee" made the R&B charts, sending Clifton on a brief nationwide tour of the chitlin' concert circuit.